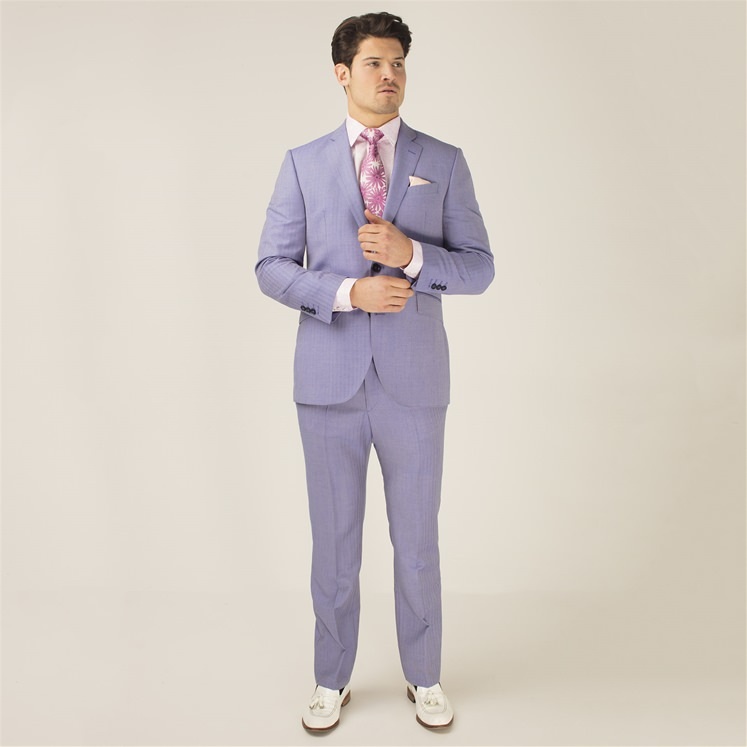 Mens lightweight wool suit in a soft powder blue. From our latest collection, celebrating 20 years of Gresham Blake. 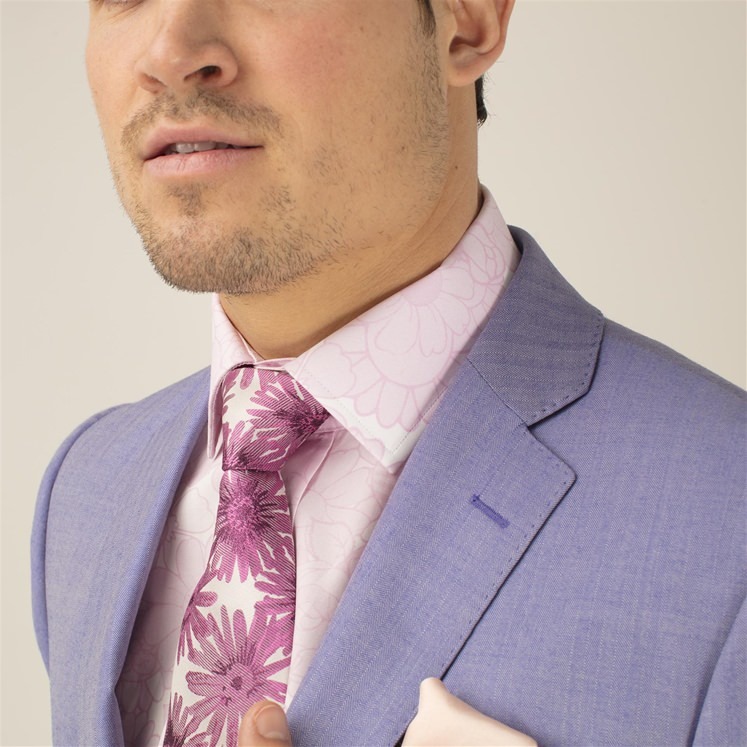 Powder blue Herringbone 2 piece suit, made in a Scabal cloth and lined in a contrasting bubblegum pink with lavender piping. Attending a summer event or destination wedding this year? 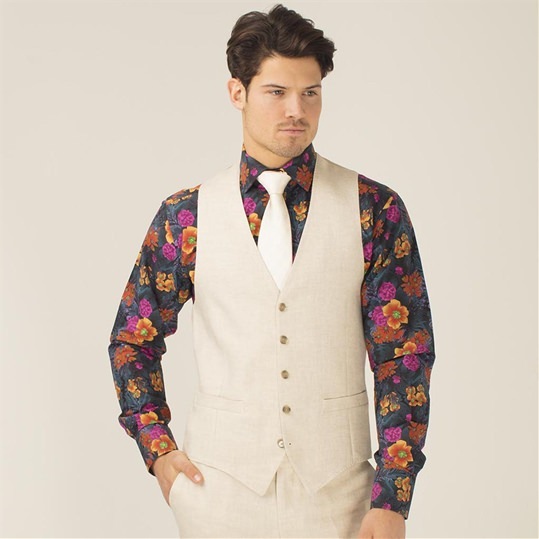 Then this is the ideal suit. Team it with our pink power flower shirt. 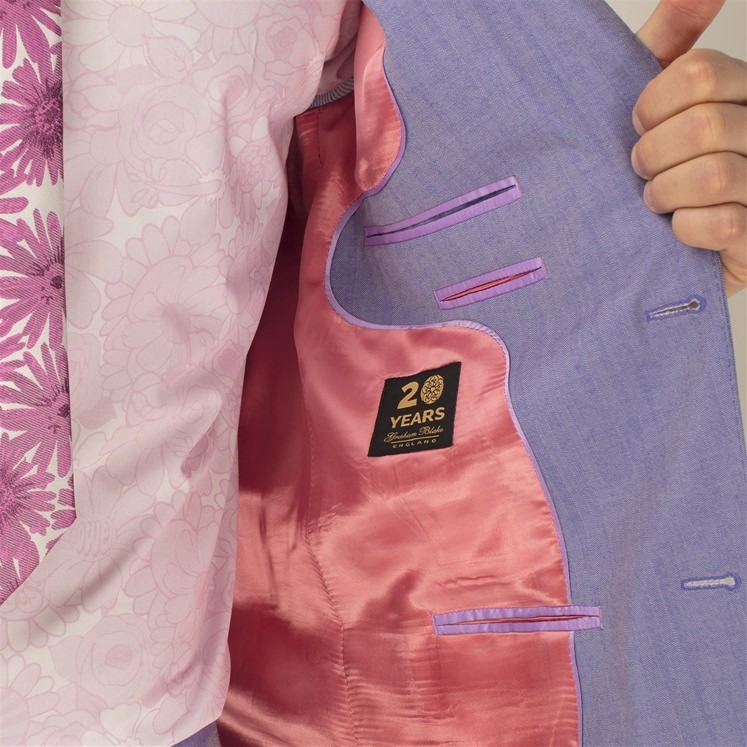 All suit trousers are sold un-hemmed as standard. Gresham Blake offer a free hemming service. Please note that this does deem an item non-returnable. To use this service please leave a note of your inside leg measurement at the checkout. Single breasted with notch lapel. 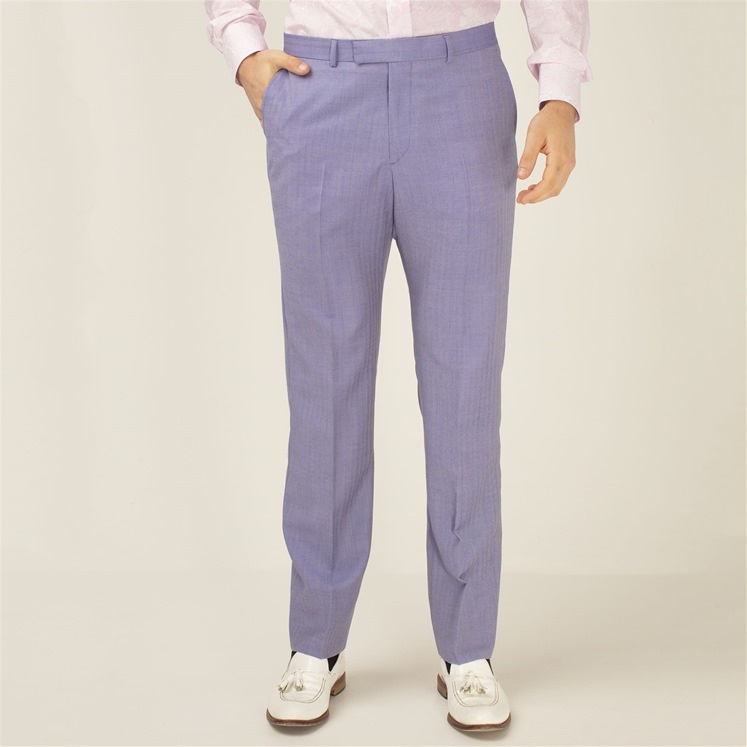 Trousers un-hemmed with slant pockets and belt loops.